Once again Max has provided us with another beautiful and skillfully written book - his style is always so easy to read and so relatable and it does not disappoint in this book. You find yourself drawn in from the first word. His way with words is so masterful... weaving stories together. I love it. 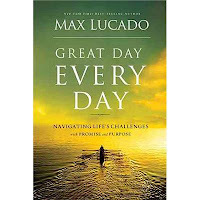 This book is a fresh perspective on keeping God as your focus each and every day with whatever gets thrown at you. It has ten chapters, so it is an easy read, but is very thought provoking. I like how he takes a key scripture and elaborates on it with interesting chatter that really gets you thinking. At the end of each chapter he has, what he calls, a 'Daily Compass' which brings it back to you for that day. Each of these is easily readible in five to ten minutes a day and gives you something positive to start your day on and get your perspective right. If you want to take it further there is also a discussion guide at the back and also a day changer section which takes you on a 30 day journey delving moreso into things discussed in this book and applying them to your day. 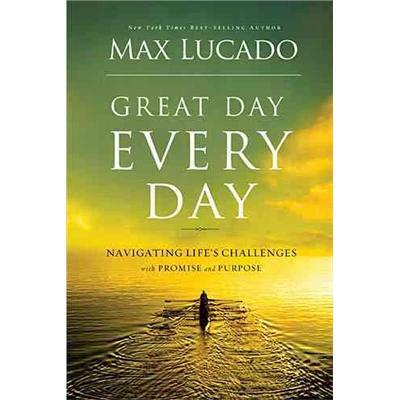 I enjoyed this book and would recommend it, Max always can be counted on for having lots of uplifting things to say.